As you can tell if you've had a look at my blogs, I love to write! I definitely consider myself a better communicator on paper than I am in person. I also love my sport, mainly basketball and Australian football. So I guess it makes sense to combine the two and see if I can make some sort of career out of it. Now I'm not really a people-person, so I won't be the sort of journalist who does lots of interviews and asks lots of questions. I'm quite happy to watch a match - of anything really - and write about it. 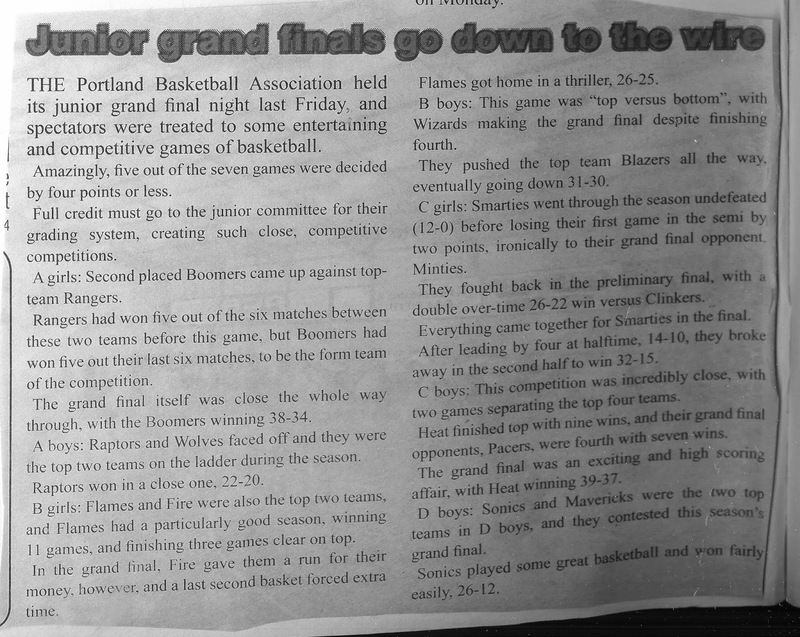 I've had some articles published by the Portland Observer, the local newspaper of a small town where I lived a few years ago. 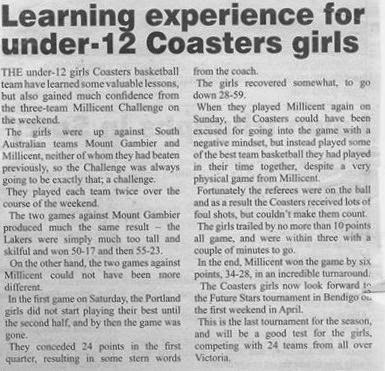 I coached a junior basketball team and would do write-ups of their tournaments. I appreciated The Observer promoting local junior sport and accepting submissions from amateurs such as myself. I am under no illusions about my career prospects in sports journalism. 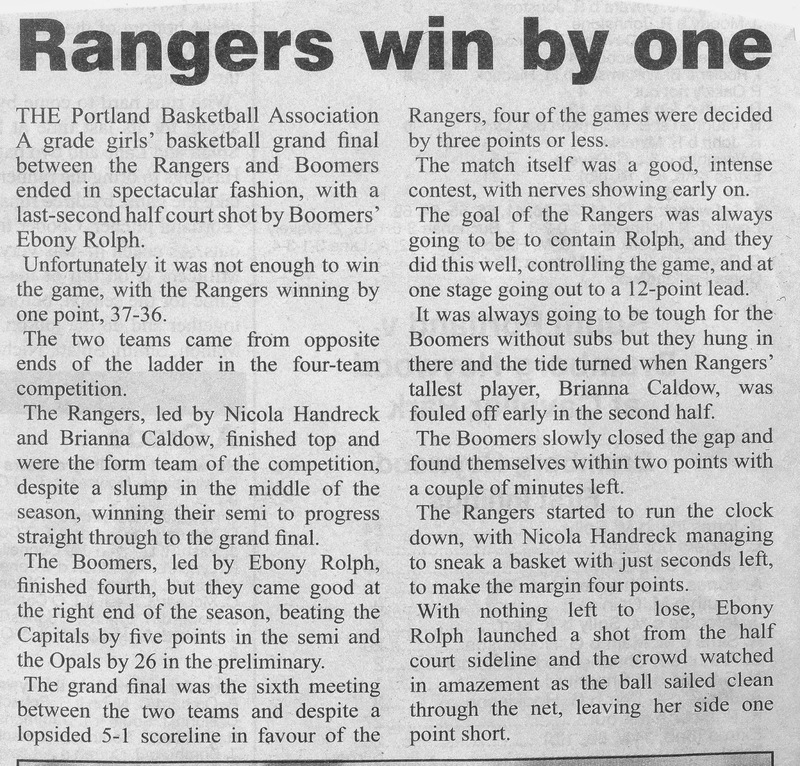 Unless you get to the very top of the tree, for someone like me my teaching career will always remain more lucrative, but heck, if I can make a little bit extra writing about sport, then why not give it a go? (And you know where that extra money will go, don't you? I'm always looking to increase my Compassion family). I've enrolled in a couple of online sports journalism courses, but when I had a chat to a school colleague who was previously a sports journalist, he said that while 'letters after your name' are fine, editors are more interested in seeing the work you've had published. So, a couple of weeks ago I was on the website of the Victorian Amateur Football Association (VAFA), probably the third tier competition in Victoria after our national competition and the Victorian Football League (VFL), and I noticed they had an advertisement for a scribe to write the weekly round-ups for their Premier B section (second highest division). 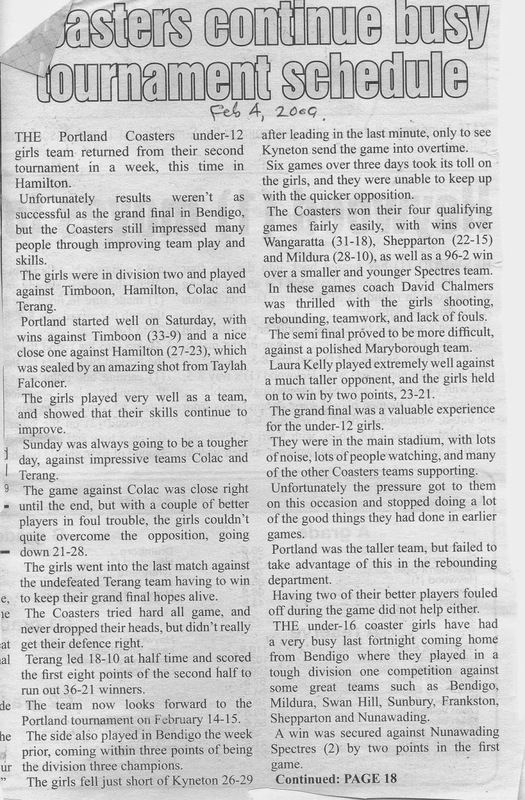 I submitted a brief match report from an AFL game the week before, they were happy with it and all of a sudden I had the job! Fortunately I was on school holidays, so I had three days to do a whole lot of research about the comp, the clubs and players, then last Saturday I attended my first match. 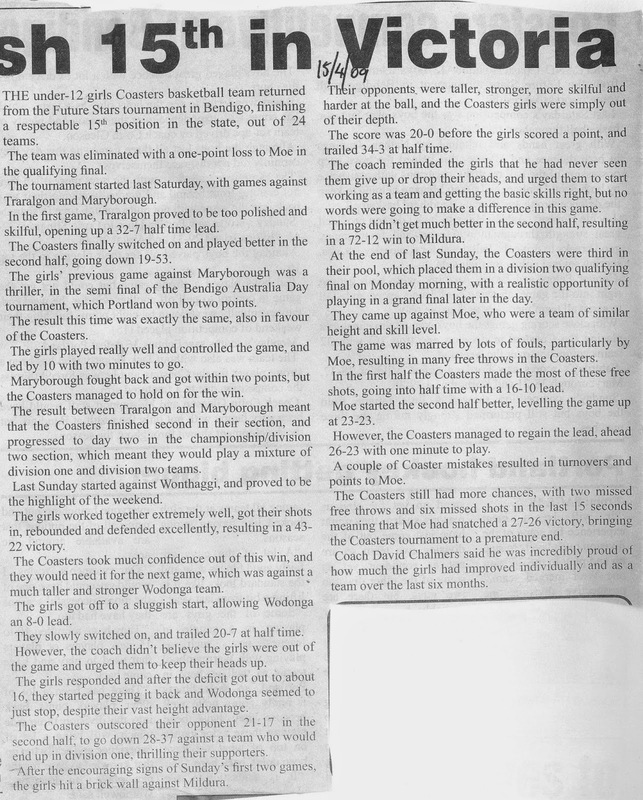 One week later I was a published football writer! (click photo to enlarge or click here to read online). The Premier B section of the VAFA is a ten-team competition and my job is to write a round-up of the weeks matches. I attend one match per week (they all play at the same time on a Saturday) and with the other matches I either receive match reports from the clubs or watch the game videos online. My column will appear in the weekly VAFA journal "The Amateur Footballer" which is available online and in print form at matches each week. It is not a paid position but at this stage I am more interested in getting my stuff published and see what happens from there. 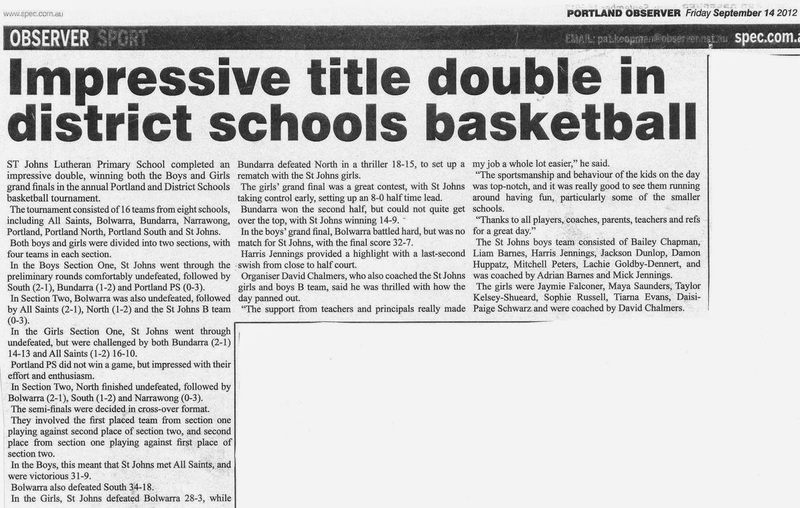 I am very blessed that my current employment situation (part-time PE plus emergency teaching) gives me the flexibility to pursue my other interests such as sports journalism, basketball coaching and bowling. If a full-time teaching job came up I wouldn't turn it down, but with me it tends to be all-consuming, which isn't necessarily a healthy thing. Very cool, David! 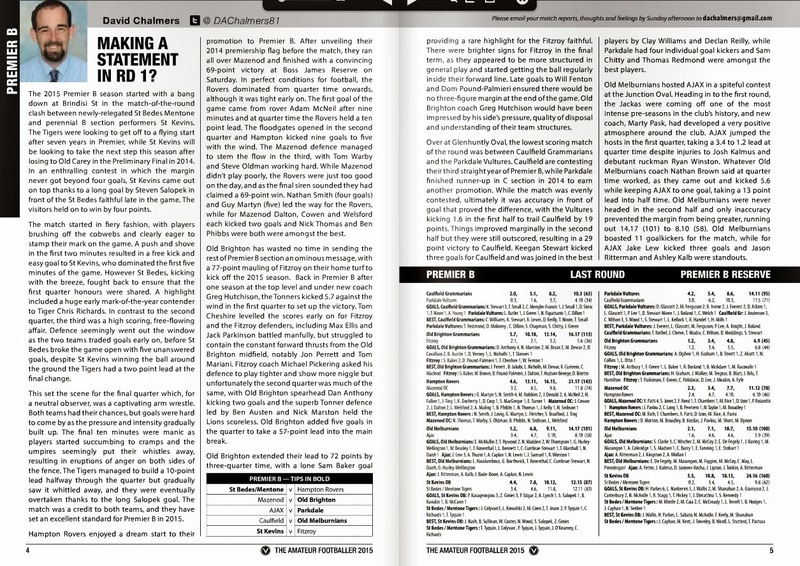 I absolutely love sportswriting, and I think you will, too.